Solid waste management is an important basic urban service, by and large, performed by Urban Local Bodies. 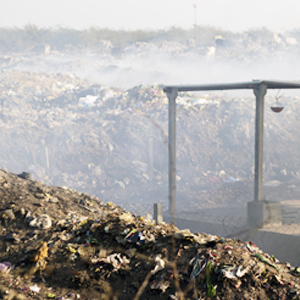 The waste in Indian cities has increased drastically in the last decade. Despite various technologies available to recycle and treat waste, the municipalities are unable to satisfactorily fulfill their duties. 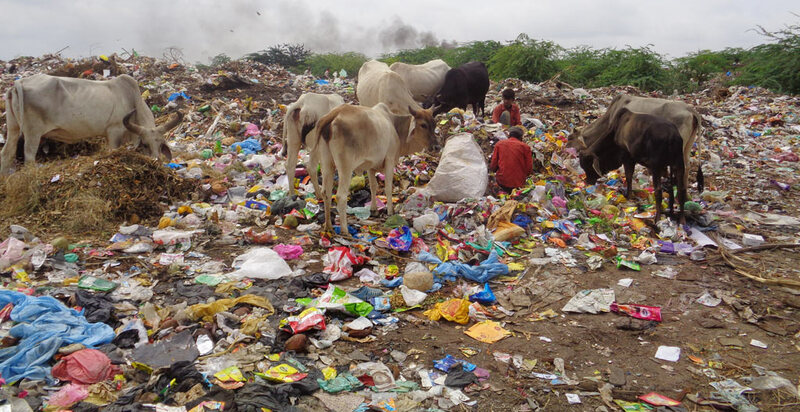 Thus, piled up waste heaps are a common sight in Indian cities, and Bhuj is not an exception. The plight of waste management annoys me, thus, I have been trying to involve citizens and make the administration accountable to responsibly clean up our city. In the last few years, several pilots have been created, and some of the practices are still successfully running whereas some didn’t continue due to the apathy of the administration. 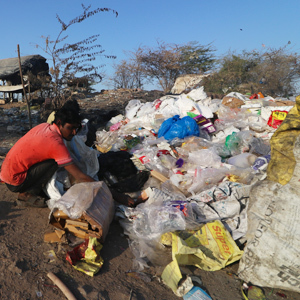 Door-to-door collection of garbage was piloted with Sakhi Sangini (a women’s collective in Bhuj) for more than 10,000 properties in the city. Cattle owners were linked to collect wet waste(kitchen waste) from houses and feed it to their cattle. Khamir, a craft organization, was linked with societies and schools to collect plastic bags and recycle them into high-quality products. 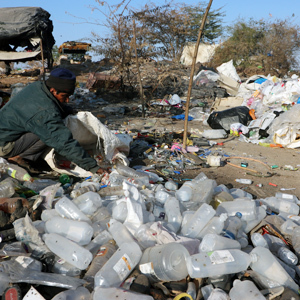 Waste pickers have been organized, and the Municipality has issued ID Cards to them. 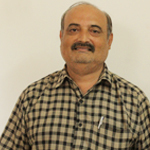 Hunnarshala has researched and developed construction blocks by recycling construction waste. Institutional campuses such as Lalan College and Army Campus are developed as Zero Waste Campus where all waste is collected and recycled in allocated Zero Waste Centre inside their campuses. A detailed project report for complete waste management in the city was prepared based on our experience and submitted to the state government for approval through Bhuj Municipality. A Zero Waste Centre has been established at Nagor waste dumping site where a pilot project to segregate and recycle waste by waste pickers has been established. My work is supported by Sahjeevan and Bhuj Municipality. Institutional partnership with recyclers in order to ensure re-use of collected and segregated recyclable waste materials. 2. Sakhi Sangini members were engaged in the door-to-door collection of waste for 10,000 families in the old part of the city in 2009-10 whereas entrepreneurs having loading auto-rickshaws were engaged in two other wards of Bhuj. The experience demonstrated that households were willing to pay Rs. The 30-50per month if a daily service is efficiently provided. At present, the municipality only collects Rs. 5 per family per month. Therefore, Rs. 20more is required to run the service efficiently. 3. Three technical experiments have been evolved and tested by three organizations for recycling of waste. Khamir, a craft organization, takes 40-micron plastic bags and recycles them into high-quality products, such as handbags and mats. Sahjeevan collected the kitchen waste from over 300 households under the ‘Blue Bin’ project and made it available to cattle owners in slums to feed their cattle. And in return, the cattle rearers supplied milk to the households. Hunnarshala has developed the technology to recycle the construction waste, which can convert the city’sconstruction waste into construction blocks. 4. The waste pickers of the city have been organized to segregate and aggregate waste to be supplied to intermediaries who supply waste for recycling to industries. 5. Institutional campuses are provided services by linking waste pickers to operating a zero waste centre that collects and adds value to the waste within the campus. Lalan College and the Army campus are such examples. Facilitating Municipality to execute components of Solid Waste Management Plan prepared for the City. Setting-up ‘Decentralised Waste Segregation and Recycling Centre’ and linking waste pickers to run the centre. Five such centres are required to manage the entire waste generated by the city. Waste pickers will be organized to run scrap shops as collective enterprises. Waste recycling facilities (machinery) will be established at waste segregation centre with financial support from State Government. Engage private agencies to set-up machines and train local manpower for waste management at large scale.